There’s $25 worth of digital titles this week, one new, one a remake. We would love to take a look at this update to the classic Atari title, but all it did was cycle through the opening company logos infinitely. We will update if it’s fixed. Wonderful RTS title with a catchy soundtrack and great flow. Players follow humanity as they expand into space the only way they know how: War and greed. Ships are sent to competing planets with various objectives strewn about the single player campaign to shake things up a bit. 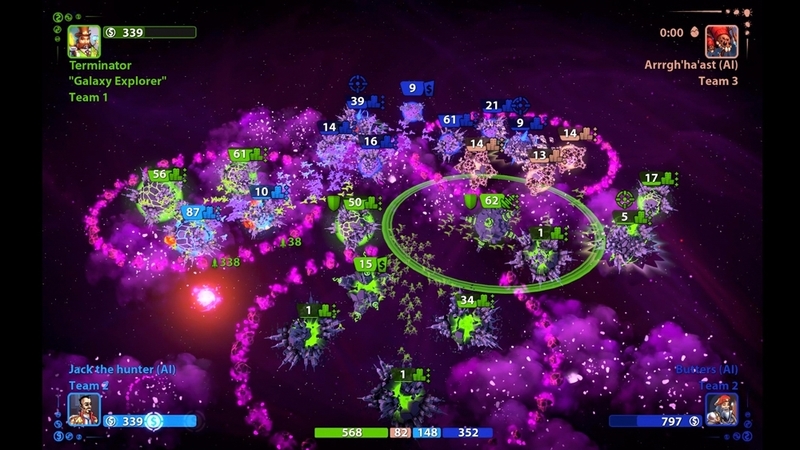 Challenge can be high and satisfying, but also bright in that it takes some skill to level while keeping planets defended. The neon glow of captured planets is appealing, and so is watching a mass horde of ships take up a charged pursuit to an opposing land mass. Great game.